Humanity is meant to become Superhuman! Whether you believe that humans evolved from animals or not, one thing is for sure, we evolved from something. Everything evolved from something. The something that everything evolved from is actually The Vibration Of The Universe and its pure Intelligence. 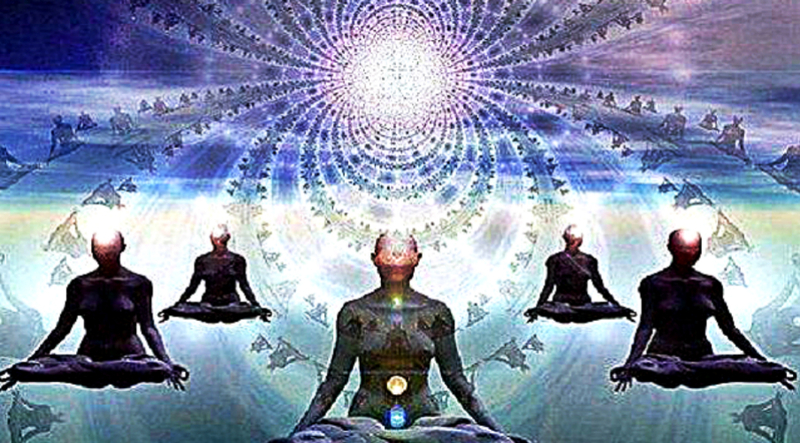 Energy came from this vibration, consciousness came. Matter formed and created the galaxies. Within these galaxies planets formed and on this one life emerged. Life on this planet is the extension of this planet. We evolved from this life just like every animal and plant on this planet. But evolution is continuous. We need to keep evolving. For this purpose the spirit we are all a part of has given us 3 special gifts to help us unstuck and continue on this evolutionary journey. What Of These 3 Special Spiritual Gifts Do You Have? 1. The gift to relieve suffering. When the people around you are happy you are also happy. Most people who have this gift are some kind of healers. Either through modern medicine, or some more alternative approach, these people have the natural tendency to relieve others from their pain. However, people who possess this gift can be comedians, actors, authors. A regular person, someone you want to go to talk to when you are in pain can have this gift. You can sense in someone’s energy that just being around them you are relieved from negativity. The gift to relieve suffering is important for humanity’s evolution. It makes the rough terrain of evolution to be smoothened by the kind brightness of these people’s hearts. These people create energetic lighthouses for others to look up to when in need. 2. The gift to awaken others. When you have awakened you want others to awaken. Most people who have this gift are spiritual coaches. Through videos, seminars, workshops, coaching, books, articles, these people create content and platform for others to awaken. However, not all who have this gift are spiritual teachers. Some might be directors of movies, songwriters, bloggers, exercise instructors, yoga teachers, even vegan chefs. In fact, anyone who has a tendency to unplug you from the matrix has this gift. The gift to awaken others is crucial for humanity’s evolution. It inspires others to come to the present moment, to awaken to the truth and see the world for what it really is. Without these elements humanity’s evolution is stuck. 3. The gift to spread love. By spreading love you create more loving world for everyone. Most people who have this gift are celebrities but most of these celebrities use this gift only for a short period of time. While they receive worship from the world this gift activates and they spread love. However, you don’t have to be a celebrity to have this gift, it just means you have predisposition to be a celebrity if you have this spiritual gift. Love is everyone’s natural state of being, so literally anyone from anywhere can have this spiritual gift. The gift to spread love is required for humanity’s evolution. It’s required like any human requires food, air, warmth and water to survive. After all, love is who we are. Spreading love is how we shape the world around us so we can evolve. If you also believe that humanity has not reached the peak of its development, that our evolution is stuck and that it’s time to move forward, we invite you to join our Superhuman Academy! It’s where we teach how to evolve!